EAST TEXAS – For several area teams, district volleyball season is past the midway point and heading towards the finish line. For quite a few teams in in the region, this means thoughts of the postseason are beginning to surface with the ultimate goal of playing in the state championship during mid-November at the Curtis Culwell Center in Garland. In District 21-2A, the Neches Lady Tigers are still atop the standings with a 10-0 record after they defeated the Trinidad Lady Trojans on Friday, Oct. 5 in three by scores of 25-22, 25-23 and 25-0. The Lady Tigers also dropped the Cayuga Lady Wildcats by scores of 17-25, 25-13, 25-16 and 27-25 on Tuesday, Oct. 9. On Friday, Oct. 5, the Cayuga Lady Wildcats defeated the Grapeland Sandiettes in straight sets by scores of 25-19, 25-18 and 25-18. As previously mentioned the Lady Wildcats were defeated by the Neches Lady Tigers on Tuesday, Oct. 9 by scores of 17-25, 25-13, 25-16 and 27-25. The Grapeland Sandiettes kept their district record at .500 as their district record moved to 5-5. The Sandiettes lost on Friday, Sept. 28 to the Cayuga Lady Wildcats by scores of 25-19, 25-18 and 25-18. On Tuesday, however, the Sandiettes defeated the Oakwood Lady Panthers by scores of 25-18, 26-24 and 25-17. The Latexo Lady Tigers picked up a win over the Oakwood Lady Panthers on Friday, Oct. 5 as they won in straight sets by scores of 25-9, 25-23 and 25-15. Unfortunately, the Lady Tigers lost their match on Tuesday to the Cross Roads Lady Bobcats. As of Thursday Oct. 11, the standings in District 21-2A show Neches in first with a record of 10-0. Cayuga is in second with a record of 8-2. Kerens is in third with a record of 7-3. Cross Roads is in fourth place with a record of 6-4. Grapeland is in fifth with a record of 5-5. Latexo is in sixth with a 2-8 mark while Oakwood and Trinidad are in seventh with identical 1-9 records. . In District 20-3A, the Westwood Lady Panthers won on Friday, Oct. 5 as they defeated the Crockett Lady Bulldogs in three by scores of 25-14, 25-8 and 25-11. On Tuesday, however, the Lady Panthers fell to the Groesbeck Lady Goats in four by scores of 24-26, 27-25, 25-21 and 25-15. The Elkhart Lady Elks are still in the thick of the playoff hunt despite a loss on Friday to the Groesbeck Lady Goats by scores of 21-25, 22-25, 25-11, 25-15 and 15-10. The Lady Elks traveled to Crockett on Tuesday for a game against the Crockett Lady Bulldogs and took care of business in three by scores of 25-18, 25-12 and 25-22. The Crockett Lady Bulldogs are 1-8 in District 20-3A after last week’s debacle. The Lady Bulldogs fell to the Westwood Lady Panthers in three by scores of 25-14, 25-8 and 25-11. They also fell to the Elkhart Lady Elks by scores of 25-18, 25-12 and 25-22. The Frankston Maidens are 0-9 in district play after they lost to the Buffalo Lady Bison in three by scores of 25-21, 25-18 and 25-12. The Maidens were off on Tuesday. As of Thursday Oct. 11, the standings in District 20-3A show Teague in first with a record of 8-0. Westwood is in second with a record of 7-2. Groesbeck is in third with a record of 6-2. Elkhart is in fourth with a record of 5-4. Buffalo is in fifth place with a record of 3-6. Crockett is in sixth with a record of 1-8 and Frankston is in seventh with a record of 0-8. In District 19-4A, the Palestine Lady Cats took on the Mexia Lady Black Cats on Friday, Oct. 5 and lost in straight sets by scores of 25-23, 25-5 and 25-22. The Lady Cats also lost their Tuesday, Oct. 9 match to Fairfield by scores of 25-17, 25-19 and 25-9. The Madisonville Lady Mustangs fell to the Fairfield Lady Eagles on Friday, Oct. 5 by scores of 25-23, 25-9 and 25-19. 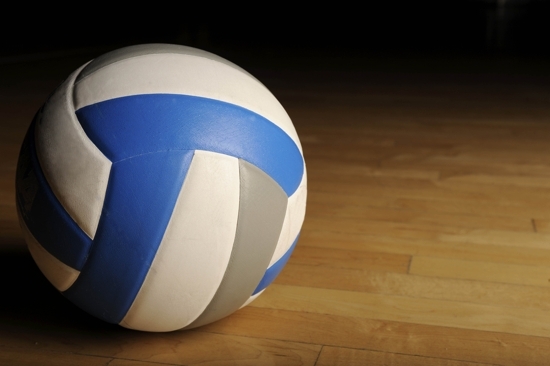 The Lady Mustangs also lost to the Rusk Lady Eagles on Tuesday, Oct. 9 by scores of 25-16, 25-19 and 25-14. As of Thursday Oct. 11, the standings in District 19-4A show Mexia in first with a record of 4-0. Fairfield is in second with a record of 4-1. Rusk is in third with a record of 2-3. Palestine and Madisonville are tied for fourth with identical 1-4 district records. The playoffs are set to begin on Oct. 29.